Your furry friend loves to come and go at will. 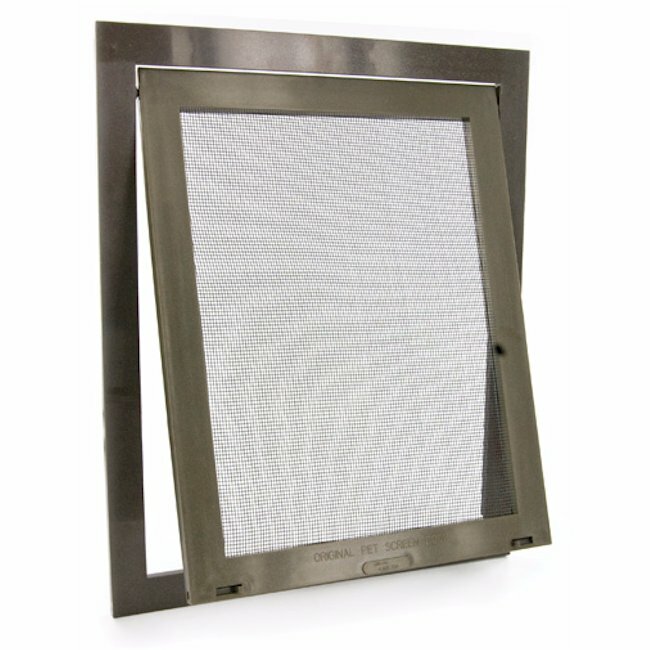 This swinging wire mesh door snaps directly onto your existing screen door or window for quick and easy installation. The high-impact plastic frame includes a slide lock that will allow you to control your pal’s access. Flap Opening: 7" x 9"
"We have a camper with sliding glass doors. 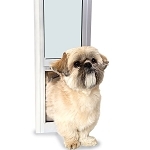 We installed the pet door in our sliding screen for our small dogs to go onto our porch." The perfect product for my rogue cat! I have 3 screen doors and is the best thing that i found. My 3 cats go in and out the house when they want. Ordered this door 3 plus years ago for my 5 shihtzus. Sadly, it's time to order another one. Sure got our moneys worth. We have been using this door for years now. First in Stockton, then we moved to Paradise, and installed 2 on the screens, then we moved to Pasco, and have the door on now for six years! We just suffered a loss of the door, when our dog rushed in and torn it arpart. So I ordered this new one, but before it come my husband reenforced the original door and made it work ago, so now we have a spare. We could not get along without this door. Great for our cats. I would have to agree that a larger model would come in handy. Nice looking and convenient pet doors! These screen pet doors are nice looking and very convenient. The magnets work perfectly to keep the doors closed behind them. This was super easy to install, and I like that I can lock it at night when the dog won't be using it. 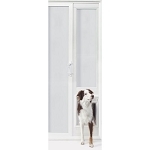 A great pet door for our dogs! 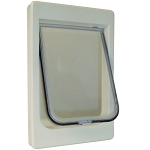 We have had absolutely no issues with this pet door, it has been great. We got it at a wonderful price and got good shipping on it. It installed well and stays closed nicely. A good pet door! Installation of this Pet Door was a breeze! I have two small dogs that do not handle kenneling well. 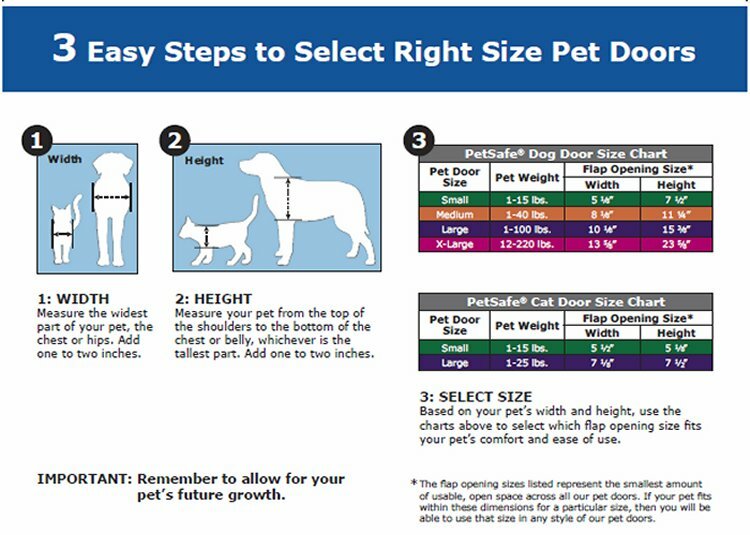 I needed a pet door to allow them to go in and out of the house as they needed while I worked during the day and turned to this product since I have a screen door. Installation of this pet door was an absolute breeze. In about fifteen minutes it was installed and my dogs were using it like champs. I found this product to be more affordable than other competitors too! 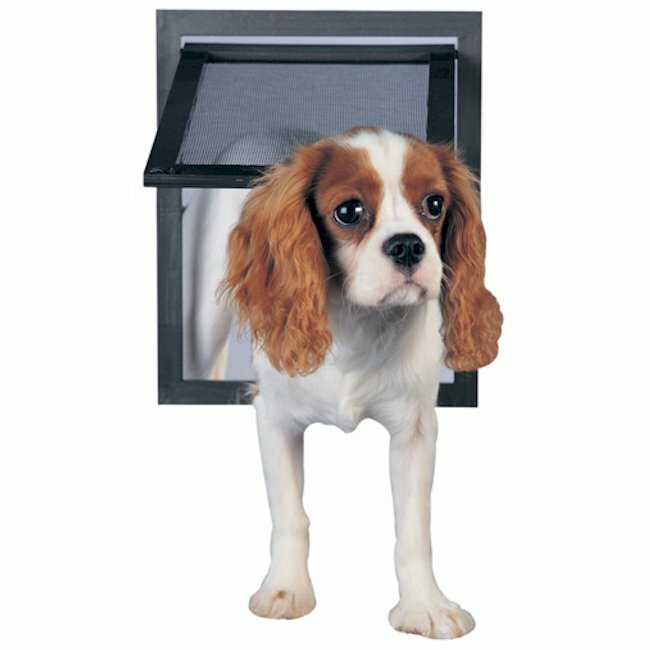 A very inexpensive pet door! 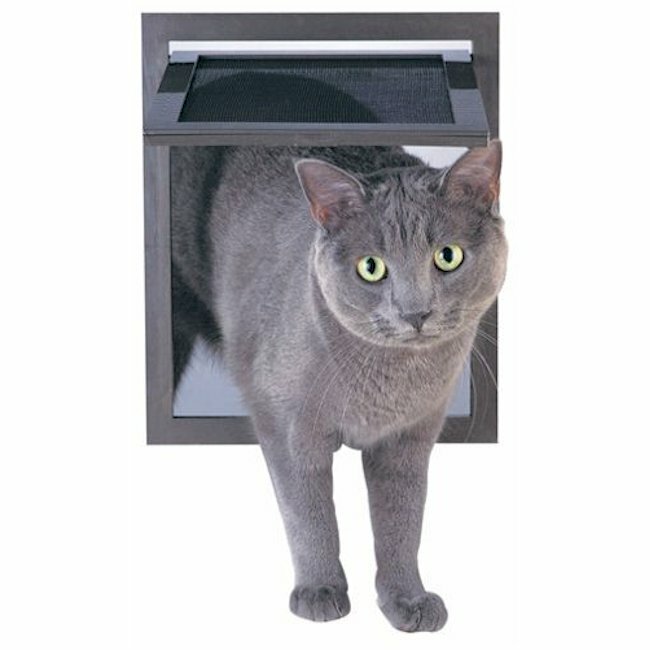 I was a big fan of how inexpensive this pet door was. 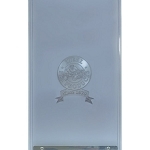 When we got it I was not disappointed by the quality, it is in great shape. Installed no problem and looks good on the door. My dog has no issues getting in and out of here, and the flap closes pretty securely. I am happy with this! With 3 small dogs, the screen door was open all the time (it seemed) and the flies were driving me crazy. Now, my little sweeties come and go as they please without letting unwanted pests. The door was easy to install, and my dogs learned how to use it with no problem. I'm very happy with it.